Which expression best describes the math sentence? Which is the most reasonable choice to describe what is happening to the ribbon? Which selection finds the missing weight? Which selection finds the missing number of rows? What is 3/5 "of" 25? Which selection tells how much profit Sami will make? 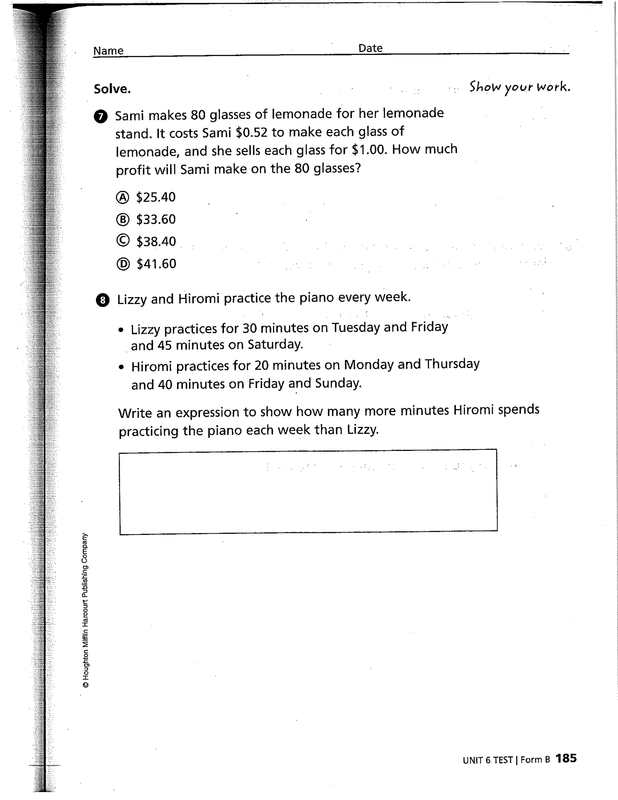 Write the expression to show the difference between Hiromi and Lizzy's practice times. 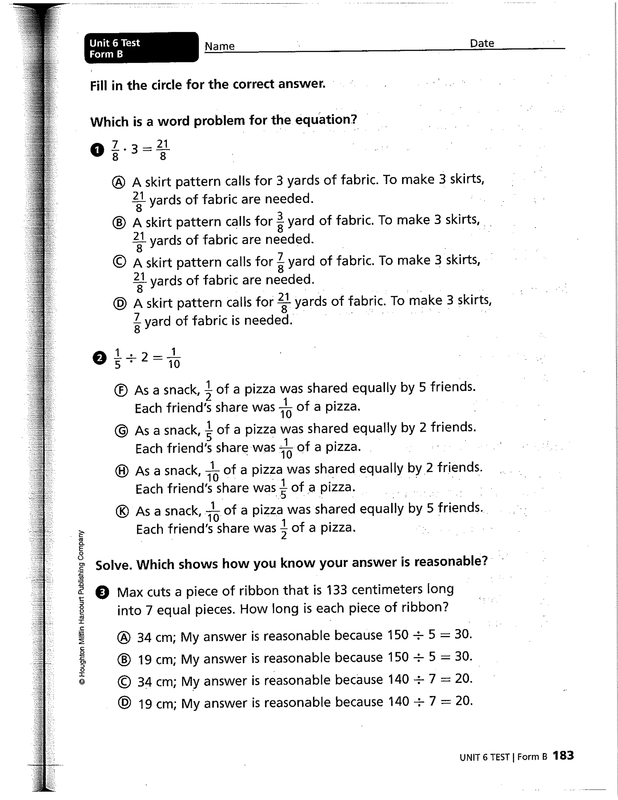 Remember that dividing by a fraction is really multiplying. 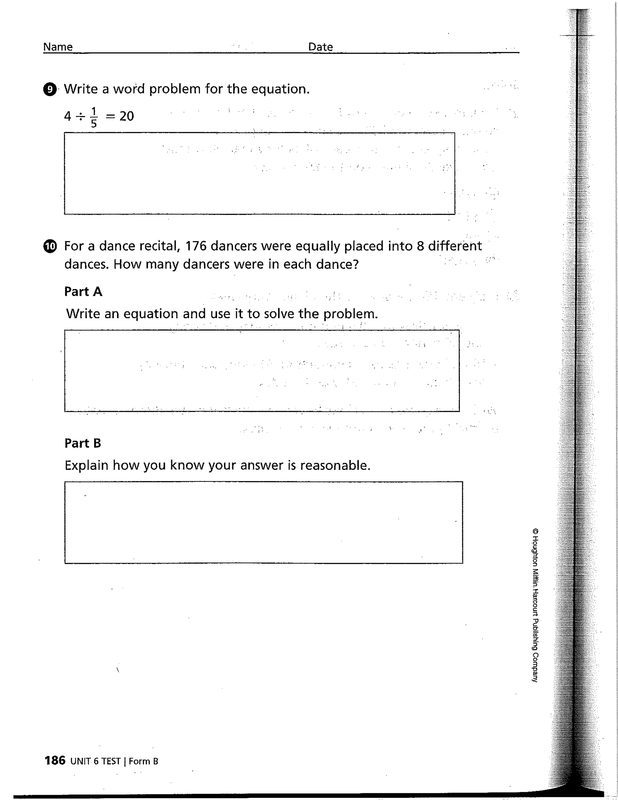 Write a story problem that the math sentence represents.